Everything about your wedding must be perfect. Here are some of the best Utah wedding music, DJ and entertainment vendors. Public Opinions Soundstage provided excellent service. They were professional and easy to work with. Kevin and Garret were both awesome. They helped my dream wedding become a reality. We would hire him again for another event in the future. Great job, thank you! I would recommend Public Opinions Soundstage to everyone! As Public Opinions Soundstage, our goal is to provide professional Utah wedding DJ service at an affordable rate without sacrificing quality. Our job is to make a lasting impression, making your wedding day the most memorable one. A Different Kind of Wedding DJ! 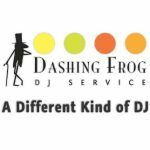 A Wedding DJ Service as Unique as You Are! We had so much fun learning & executing our dance and we got a lot of compliments from guests at our wedding. We were able to surprise everyone at our wedding. We offer both private and group classes, tailored for your specific wedding. Whether you are looking for a unique first dance, a surprise flash mob, or some simple lessons in traditional dance styles, we can help make your wedding a day to remember. 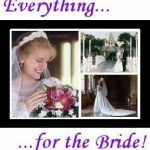 Complete Wedding & Events is Utah's leading provider of wedding and event photography, DJ services, videography, uplighting and photo booth rentals. We work WITH you to ensure a stress-free, enjoyable and truly personalized wedding reception! We make it our profession to provide the perfect music for your perfect day! Give a voice to your Wedding with New York trained singer Ruth Ellis singing Broadway, Popular and Classical styles, including Vocalises (vocal music without words) by the world's great composers. Established in 1992, and inspired by Ritz-Carlton five star service, we put a bride's dreams first. We are not a cookie cutter Wedding DJ company, because we want your wedding to be as unique as you are. "Thank you so much for playing at my wedding, I loved it!" 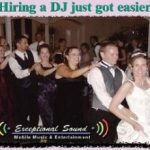 Utah's very own "DIY" DJ service - If you need DJ quality sound for your upcoming wedding then "U be the DJ" has the perfect solution for the budget minded "Do It Yourself" crowd. Popular pianist playing todays love songs in a romantic, new age style. Similar feel as Jim Brickman, George Winston, and Jon Schmidt. Demo available. Make your wedding memorable with music from Opus Productions. 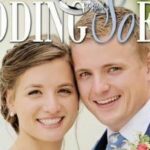 Providing full audio services for weddings and receptions in Northern Utah with a variety of options including specialized play lists to meet your needs. Call for info. Jazz & Swing Combo, String Quartet, Dance Band, Cello & Classical Guitar Duo, Solo Classical Guitar for your wedding. WELCOME TO YOUR WEDDING FAIRY TALE! Since it is the biggest day of your entire lift, we approach the preparations very seriously. Because it is your fairy tale, we invite you to tell us how you have dreamed it should be. Utah Live Bands specializes in playing at upscale events such as weddings ceremonies, wedding receptions, corporate parties, conferences, concerts, conventions and more. Utah's best music for weddings, conventions, festivals, dinners, etc. Cool, dreamy or hot jazz, New Orleans traditional plus many styles in between including ethnic music from several world traditions. If a Chris Hough band is performing at your wedding reception, or event, it's sure to be a good one! Jazz, rock, cover. Do you want to make a big impression on your first dance? Or just learn enough to look good in front of your wedding guests? Give us a call. We can help make your dreams a reality! When it comes to event entertainment for a wedding, more brides choose Utah Jive than any other company in Utah! With DJ/Emcee, a fun Enclosed, Stand-Up, or Inflatable Photo Booth and Green screen, can help make your wedding fun, memorable, and less stressful. We specialize in the Disc Jockey style of playing pre-recorded music at your Wedding. Let us fulfill your wedding entertainment needs and requirements. It's Your Special Day! ... You Deserve The Best! We at D.ntertainment know that your wedding is your “once upon a time…” and we are committed to helping make your first memories of ”..happily ever after” as beautiful as you have always dreamed. Ready to Record? 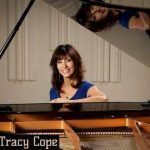 Utah Recording Sessions, Music Lessons and more - Everything You Need is In The House!